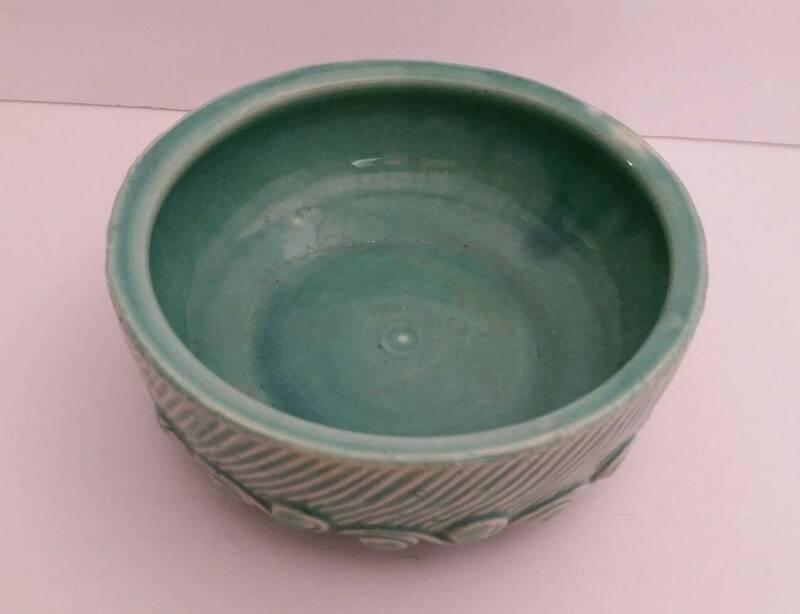 Vintage Aqua Green McCoy Swirl Bulb Bowl, McCoy Planter, Dog Bowl, Pottery 1940's, Cottage Decor, Farmhouse, Art Pottery. 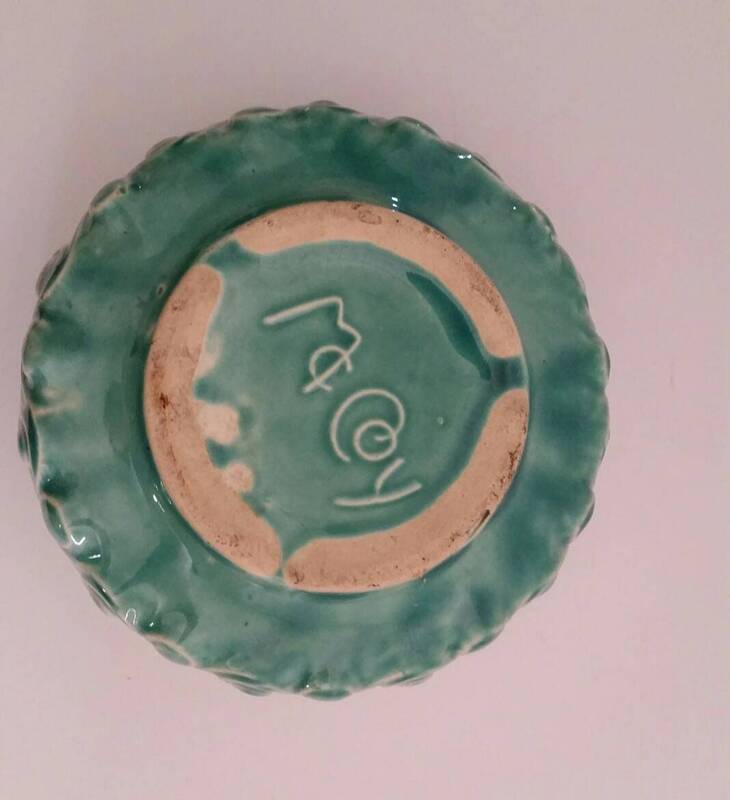 A very pretty vintage ceramic bulb bowl made by McCoy Pottery Co. in the late 1940's. 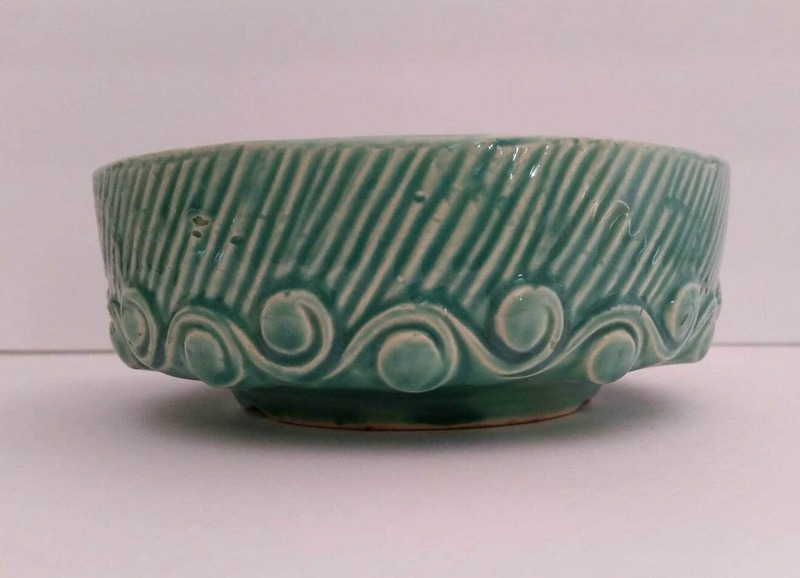 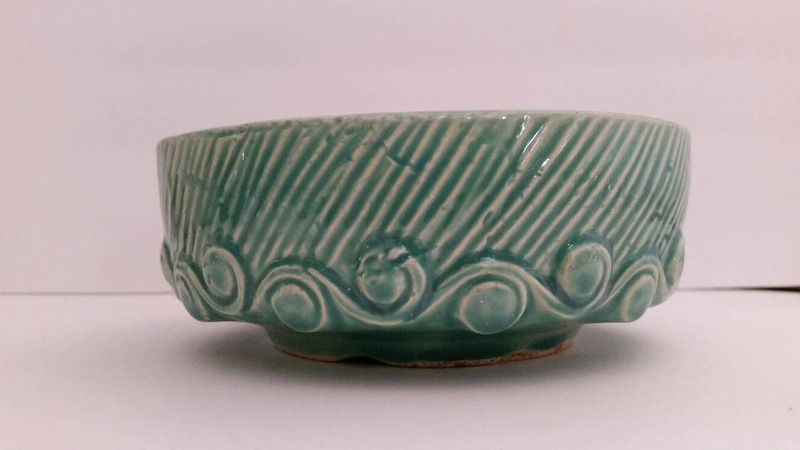 This low bowl features a swirly wave embossed motif and is glazed in glossy aqua green. 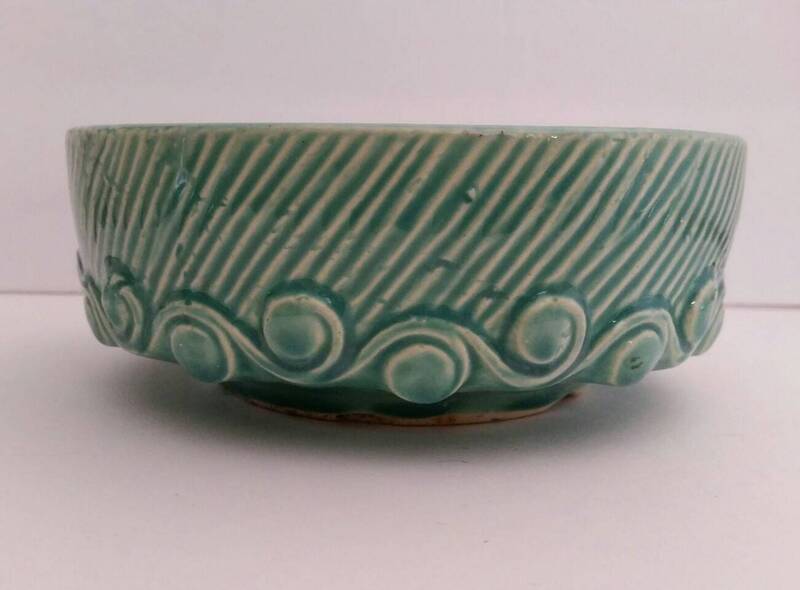 This vintage bowl has so many uses - planting dish for forcing bulbs- dog bowl - as a catch all on a entry table - fill with potpourri or shells. 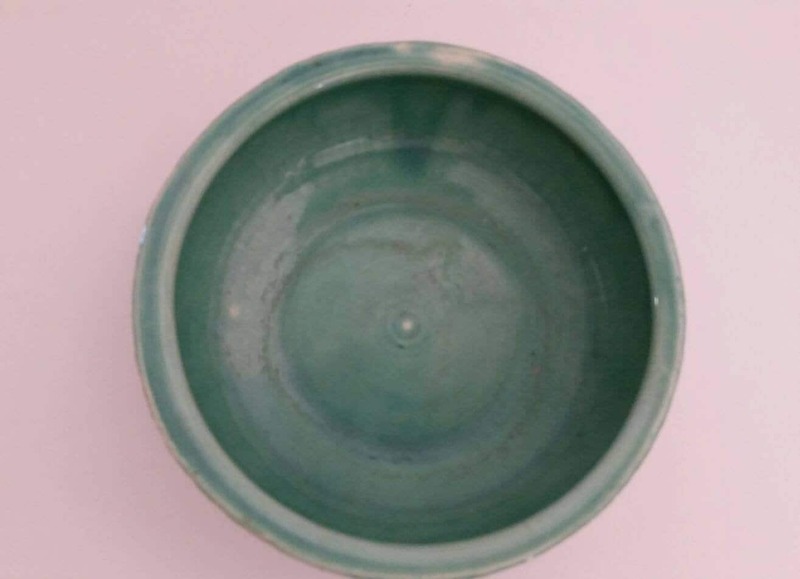 Measures 7" dia x 3" ht.